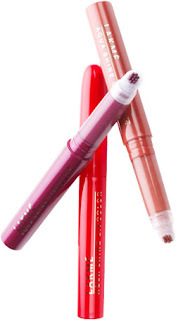 I love the jewel pot & eyeliner the best of the lot.. Not so much the rest.. Have you used these? what's yr take? Yes tanveer..I've tried all of these. 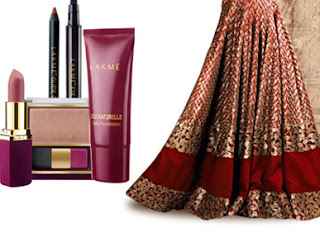 Except for the stuff from Bridal Sutra collection, but I'm planning to buy some soon. I'm liking the marker-type eyeliner, lip n cheek tint and the blushes. I think the peach milk moisturizer n strawberry creme(which I have on my face right now) are great..many pple I know love them. 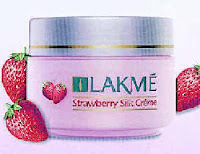 Overall, I'm v impressed with Lakme for making an effort to provide us Indians with products similar to those of Mac, Oriflame, Body Shop n other international brands, for a lot cheaper. I know we tend to find fault with our own(I'm guilty of that ^O^), but many girls from UK n US wish Lakme stuff were as easily accessible to them as it is here. 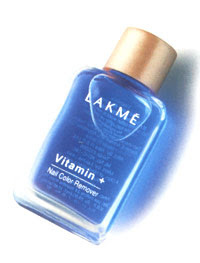 i like Lakme....but i don't like Lake nail polish that much, i don't have any problem in its shine issue but as a girl i have to work in home as well like washing etc....and my problem with nail polish is it's not long lasting it's remove soon (fast).